The Harris County District Attorney’s office has officially dropped all charges against David Daleiden and Sandra Merritt, the undercover investigators from the Center for Medical Progress who exposed Planned Parenthood’s fetal tissue sales operation earlier this year. Daleiden and Merritt were facing a felony charge of tampering with a government record, which could have resulted in up to 20 years behind bars. The pair used false identification to gain access to a Planned Parenthood clinic, leading to their indictment earlier this year. The Harris County District Attorney’s office originally indicted Daleiden and Merritt on January 25, on a felony charge of “tampering with a governmental record,” and a misdemeanor charge for violating the state’s “prohibition of the purchase and sale of human organs.” However, Judge Diane Bull dismissed the misdemeanor charge last month. Daleiden and Merritt posed as employees of Biomax, a fictitious biological supply company wishing to purchase human organs from Planned Parenthood. 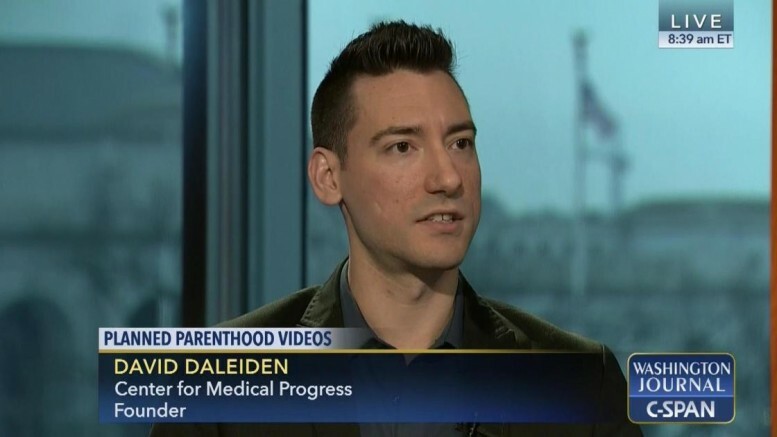 In the course of a sting operation that lasted almost three years, Daleiden recorded undercover video of Planned Parenthood employees dissecting aborted babies, processing the fetal tissue, then using budgeting gimmicks to cover up the sale of the organs and other body parts of aborted babies. They then released the videos over the course of several months, triggering public outrage and 12 state investigations into Planned Parenthood clinics across the country. A Congressional Select Committee Panel was also formed to investigate the claims. Planned Parenthood and other pro-abortion groups denounced the videos, claiming that they were selectively edited; however, an independent forensic analysis by the group Coalfire Systems, Inc. found no evidence of video manipulation. Left-wing groups complained that the investigation was unfair and dishonest. Casey Mattox, Senior Counsel for Alliance Defending Freedom, strongly disagrees.